...Or to endure dry wine lectures, in any sense of the word. Heather has presented to a wide range of people, from established wine appreciation groups and clubs as well as to people with no formal interest in wine - but who would like to enjoy a fun, sociable evening and perhaps learn a little about wine along the way. ​If you are part of a wine club, would like to start one, or would just like to get a group of friends together for an evening of lighthearted wine-based entertainment, then please get in touch. 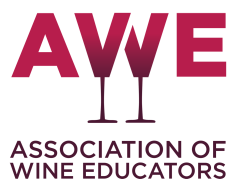 I have run events for groups of 12 to 120 and from low-key events to gala dinner entertainment, and am a member of the Association of Wine Educators, so if you would like to organise an event involving wine, I can probably help. If you would like to contact Heather about an event that you are planning, please send an email or call 07962 133487.